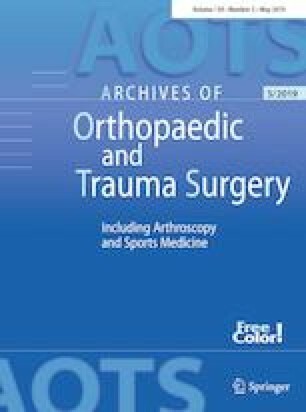 Patients with developmental dysplasia of the hip (DDH) require special surgical considerations for total hip arthroplasty (THA). Despite the difficulties posed by the population’s anatomical abnormalities, few large evaluations of postoperative outcomes exist. This study seeks to characterize outcomes following primary THA among patients diagnosed with DDH. A retrospective review was conducted at a tertiary care center on all THA patients between June 2011 and March 2018. Inclusion criteria for this study included any patient diagnosed with DDH undergoing primary THA. Baseline information, operative reports, and postoperative outcomes were pulled from the medical record. In total, 336 patients (385 hips) undergoing a THA between June 2011 and March 2018 were included. The average age was 52.6 ± 13.0 years and body mass index was 27.8 ± 6.0 kg/m2. Most patients were female (82%). The majority of hips (89%, n = 344) were Crowe type 1, followed by 2 (6.9%, n = 26), 3 (2.6%, n = 10), and 4 (1.3%, n = 5). Most hips were Hartofilakidis Class A (83%, n = 320), followed by Class B (15%, n = 59), then C (1.6%, n = 6). Mean follow-up was 24.8 months. Revision THA was required in 19 (4.9%) cases, with the most common indications being infection (2.1%) and periprosthetic fracture (1.0%). Readmission rates were 1.8% (7 hips) and 2.9% (11 hips) at 30-day and 90-day, respectively. The 30-day and 90-day ED visit rates were 1.3% (5 hips) and 2.1% (8 hips), respectively. No complications were seen following 344 (87%) THAs. Despite their surgical complexity, DDH patients on average have notably low rates of revision and dislocation. Longer follow-up is needed to better assess outcomes after THA in this complex patient population. Ran Schwarzkopf and Jonathan M. Vigdorchik surgeons contributed patients equally to this manuscript.